According to a Gen Z report, that generation cite social media as their most influential source for buying decisions. Couple that, with a Meeker report shows 55 percent of users who found a product on social media went on to purchase it later. That makes social media one of the most effective and dominant channels for e-commerce right now. Facebook and Instagram have billions of active users globally and according to the Global Web Index, users spend an average of 142 minutes on social media per day. By capitalising on the opportunity to advertise and sell products on social networks, Facebook and Instagram allow brands to get their products in front of a massive audience where the users already spend a large amount of time. Facebook and Instagram have implemented multiple ways for brands to utilise the social channels for sales over the past several years. Below are the top four you should know about! After clicking the ad, customers will be able to try out anything from sunglasses to home furnishings — all without ever having to leave home. From there, they’ll be able to purchase the items if they like what they see. Ty Ahmad-Taylor, Facebook’s VP of product marketing said, “People traditionally have to go into stores to do this. People still really love that experience, but they would like to try it at home.” By integrating augmented reality into social media advertisements, brands have the ability to provide the best of both worlds to their customers. Facebook and Instagram stories became sales-enabled in mid-2018 and have grown exponentially since. Stories ads use targeted advertising to get the ads in front of the most receptive audience and provide an alternative to the traditional, news feed-based ads and create an exciting new way to interact with customers. According to Instagram, there are 500 million accounts using the stories feature, one-third of which are businesses. Stories ads appear alongside the stories users are already watching from the accounts they follow. Aside from the “sponsored” tag at the top of the ad layout, it can be hard to tell the difference between the advertisements and the organic content from followed profiles. In addition to the ad itself, stories ads also provide the ability to “swipe up” to learn more, make a purchase or check out the rest of the products a company offers and, if a customer doesn’t want to see the ad, they can simply swipe or click through to move onto the next story in their lineup. Instagram’s shoppable posts feature allows businesses to not only tag people in their posts but also tag products. For example, a clothing brand could “tag” the top on a model with its product details. These shoppable tags include the names of products, prices and links to purchase if desired. Everyone has seen something in a post on Instagram and thought “I want that. 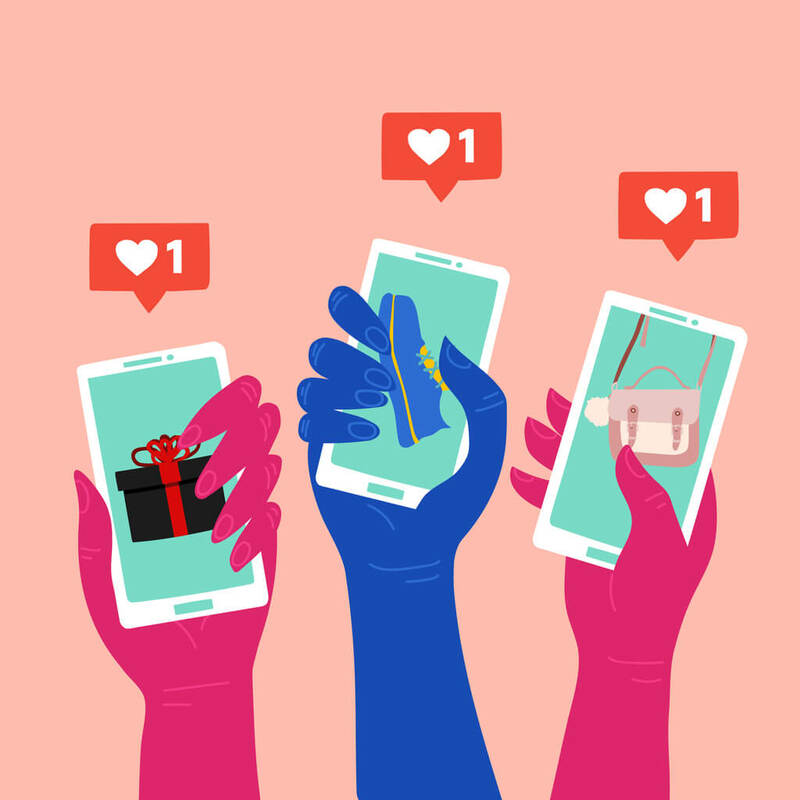 Where did they get that?” By giving brands and influencers the ability to tag products in their posts, the platform has allowed users to be able to quickly find the items and buy them, all without ever leaving the app. Prior to their release, the only way for a brand to create a shopping experience on Instagram was through a link to their website in the bio section of their profile. With shoppable ads, the entire buying process is streamlined. Consumers simply see, click and buy in a seamless progression while simply browsing through their Instagram feeds. Brands that have a business account on Facebook, have the option to create a shop tab within their profile. They can list any number of products they’re currently selling on their ecommerce site with no limit and no need to include a catalog ahead of time, all on one platform. Customers can shop freely, make purchases and can even communicate with brands via messenger without ever having to leave Facebook. Businesses can handle all sales from their page and don’t have to pay Facebook any additional fees for the feature. Not only do shop tabs provide an easy experience for customers and businesses, they can also produce valuable insights. Brands can see clicks, views, interactions and purchases for each listing and can use that information to create better products and tailor their efforts to the most receptive audience. With the e-commerce features available within Facebook and Instagram, brands no longer need an outright sales pitch to get the best results. Social pages can be used as a full buyer’s funnel and gets products in front of the right customers in a place they want to be, creating the best buying experience for them and generating the most profitable traffic for brands. Brian is a contributing editor on enlightened-digital.com.